Here are some first impressions from Paris. I'm attending a conference and went out with two friends this evening. It's my second visit to the French captiol. The first time was only for 12 hours or so, several years ago. Not sure whether I'll see more this time. Here are some pictures from a short trip through the high plains, that I took on Sunday before leaving back to Europe again. After taking the I70 east I found an exit that pointed to "Kiowa", which sounded interesting. Kiowa was more than 20 miles and a dusty road away. The best views over the great land I had when driving further west from Kiowa. I recorded the Trip with GPS and put it on a map with GPSVisualizer, which now also converts the recorded route into Google Earth files. If you do not have Google Earth yet, I really recommend you to install it on your computer. It is free of charge and you can watch satellite pictures of the whole world. On Saturday afternoon I arrived at Denver, Colorado, where I attend a meeting this week. On Sunday, we took for several hours a trip by car into the Rocky Mountains. Denver - minus degrees and sunshine. I was in this region already in September 2001, when the 9/11 attacks took place. Johannes and I at that time drove for over a week through the Great Plains and the Rockies. I remember how I woke up on 9/11 and knocked on Johannes' door, to go for breakfast. He opend and dragged me to the TV. There the first plane had just flewn into the World Trade Center. We did not know what to make out of this situation. Few minutes later we were sitting down at the breakfast room, together with other guests - I think all of them were Americans and we stared at the screen of the TV there. When the towers were still standing I remember one man asking "I wonder when the WTC can re-open again". I know, it's a stupid memory, but on the other hand it also describes how clueluess everybody was at that moment. Later that day, we were driving into the Great Plains, listening to the radio. I will never forget that. The tremendous land, stretching further out than anything I had ever seen, buildings appearing somewhere in the far distance and growing very slowly out of the flat land, and the reports and interviews on the radio. Obviously nobody had an idea what would happen next. Nobody had a clue what this all means for the future. During the afternoon the name Osama Bin Laden could be heared more and more often. A general said "We must pulverize their cities" and meant a not-yet defined enemy. Othere pleged to not run into a war, without knowing for sure who should be fought. During the following week we drove through the mountains. It was autumn and the leaves of the birch trees were all showing a warm yellow color. The whole land seemed just to glow in this color - at least that is how I remember it. Whilst the political situation became clearer and first actions were taken, speeches were held, we drove through moutain towns where the roads were lined with US-flags. These things came back to my mind, since we landed here. When driving through the moutains again the landscape had not lost any of its magic. It is winter now, the birch leaves and most of the flags have gone but the impression of greatness is everywhere. And the view on the flat land, when going back from the Rockies to Denver, just opens eyes and heart. I grew up next to the moutains and never was too fond of them. Maybe I felt they block the view to something more interesting. Anyhow - you'll never satisfied with what you have. Here, in Colorado, it is also the sharp natural line that is drawn between plains and the mountains, the contrast between a land that looks endless to a human eye and the roads that guides you between high mountains to their top and down again. It's four o'clock in the morning now. The time difference is still playing its games with me. But that's ok. The meeting starts in five hours. As long as there is a good breakfast before that, even that might be ok.
Lots of things have already been written about this movie. After I saw it yesterday I have read now a lot of statements and critics about it, many of them glorifying, some of them merciless and harsh. I do not know Johnny Cash too well, but what I know of him I really like and some of his songs I love. Those are simple and straight songs, getting a lot of their magic from his voice. I could write a lot about Johnny Cash and his music. But this entry should be about a movie. A film cannot be as detailed a biography as a book can be, it has to cut away parts of reality to give those things more space, that should be transported to the audience. This is where director James Mangold had to take some decisions and at least for me he took them well. The movie concentrates on the early years of Cash, it has two major themes in it: the love between J.C. and June Carter (also J.C.) and Johnnys problems that start in early childhood and partly cause his drug addiction. Don't expect more from this. And don't say "this does not show the whole Johnny Cash" - of course it does not. 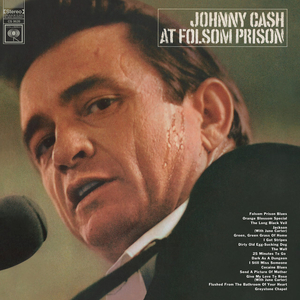 There are some hundred songs missing, most of his live is not told (the movie ends with the concert at Folsom Prison in the late 60s) and we nearly do not see any scene in which the singer Cash gets glorified into a supernatural being. Yes, there are some scenes like that, especially when he first time sings in the record studio, well - some episodes like that must have happend in his life. In general we are not witnessing the rising of a legend. The drug addiction is maybe given too much room and has a sort of pathetic taste to it - although I did not think so when watching the movie, I only came across this thought when reading some critics. Nevertheless the addiction was part of Cashs life and it was one that influenced him most likely until his late days. So it is - looking at the person we are talking about here - fair to give this subject room. What makes this movie more than just the story of a drug addicted hillbilly in love? For a hollywood production there is a strong sense of reality in it, that mostly is transported by the women in the story. Johnnys wife, who blames him and suffers and June Carter, who never even takes a toe away from the ground and gives the great singer a hard but healing time. I was most impressed by the singing performances of the two main actors Joaquin Phoenix and Reese Witherspoon. Letting them sing the original songs and not dubbing that with Cashs and Carters voices was daring, but it works perfectly and makes the whole story more vivid. Both actors do a great job. I always imagined Cash as a man of at least 40, 50 years, never younger. After this movie, my view on him has changed. It is a good movie, that shows a part of the life and works of Johnny Cash. It does not pretend to tell you the whole story, it does not mystify too obviously, but it entertains you and seems mostly to stick to the truth. 8 out of 10 - close to 9.